Apple's big launch event took place in Cupertino today, and here are the big products to track: iPhone Xs, Xr, Xs, Max, and the Apple Watch Series 4. Pre-order begins this Friday. Apple's infamous "One More Thing": impressive new iPhones. 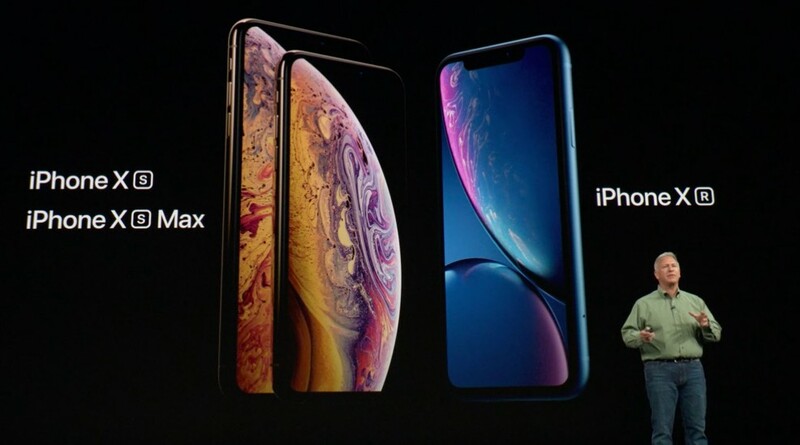 The iPhone XR will be available for pre-order on October 19, and will ship starting October 26. iPhone XS & XS Max pre-orders begin this Friday, and ship on September 21. The XR offers what's promised as the most advanced LCD display yet, 'liquid retina display.' Edge-to-edge screen. Adjust depth of field AFTER you take the photo. The starting price for Apple’s top phone: $1100. Photos from the keynote grabbed during the live-stream, below. Apple introduces lower price iPhone X for those on a delayed vesting schedule.